Mangalore, Aug 5, 2014 : Chairing the academic council meeting here on Aug 4, Mangalore University Vice-Chancellor Prof K Byrappa has informed that the university will conduct an open house to improve the visibility and the strength of the university before the commencement of the PG admissions, from the coming academic year. He went on to state that the open house will be of two days duration and will provide an opportunity for the parents and students to know the facilities available in the university before the admission. The VC, stressing on research, said that facilities will be provided to take up research in all the faculties. “ Upgrading the landscape and aesthtics of the campus will be given importance during my tenure. The buildings will be improved and efforts will be made to construct an international hostel to cater to the needs of over seas students,” he added. 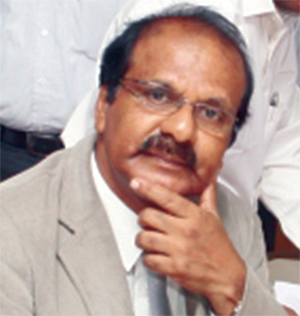 Fresh courses : The VC said that the Mangalore University has started PG in microbiology, biotechnology, Master of Science in Applications Specific Integrated Circuit Design (MSc in ASIC design) and MEd at Mangalagangothri, MA in Economics and English at Field Marshal K M Cariappa College in Madikeri, MCJ, MA Kannada and MCom at its PG Centre in Chikkaluvara and MCom (evening) at University College, Mangalore. The University has planned to start an evening college at its constituent college in Mangalore from the next academic year. BA, BCom, BBM and BCA courses will be offered to help the general stream. Along with UG courses, short term diploma courses especially spoken English, foreign languages like French, Russian and Germany will be started. This will provide an opportunity for those who desire to learn languages. The university has also proposed to start a community radio at its campus, to help the villages surrounding the campus. A commercial complex to house post offices and banks will be constructed in the campus, the VC added. First grade college will be started in Vishwamangala school premises in Konaje, through Vishwamangala Education Society. The university is also planning to set up a Vijnana Bhavana. Advanced centres : The VC said that the university has proposed to develop Belapu in Udupi district as an academic township by having its proposed PG centre and the State government’s proposal on international advanced scientific research centre. A proposal is submitted to the government. A sum of Rs 141 crore is sought from the government for the same. Stating that the centralised admission process introduced in the university has loopholes, Prof Byrappa said that the process will be modified from the next academic year. At present, under the centralised admission process, the entire admission gets over in a day, without giving time for the students to discuss on the subjects and know. The University is also planning to recognise experienced teaching faculty in its constituent colleges, to guide research students. The university will confer ‘best performing teacher’ award on September 5. The award will be conferred in science, arts, commerce and education faculties of the university. The award will include citation and cash. The VC also informed that a ’community radio station’ was on the cards too.